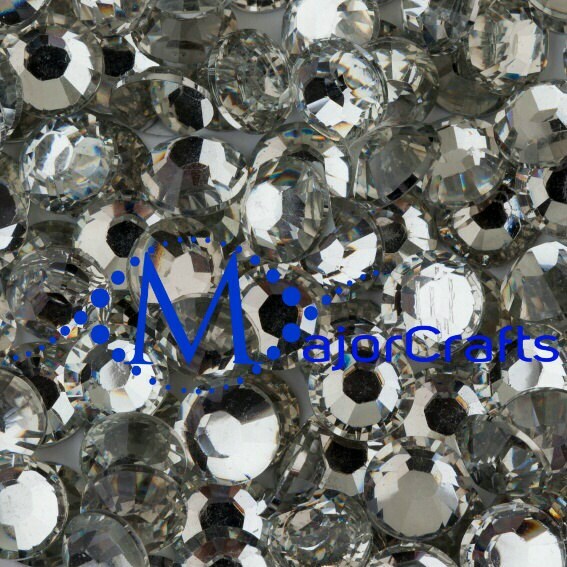 Flat back Resin Rhinestones by MajorCrafts are ideal for decorating many items including mobile phone cases, shoes, clothes, nails, jewellery and greeting cards etc. These rhinestones are non-hotfix and they're not self-adhesive, therefore, you will need glue to affix them. 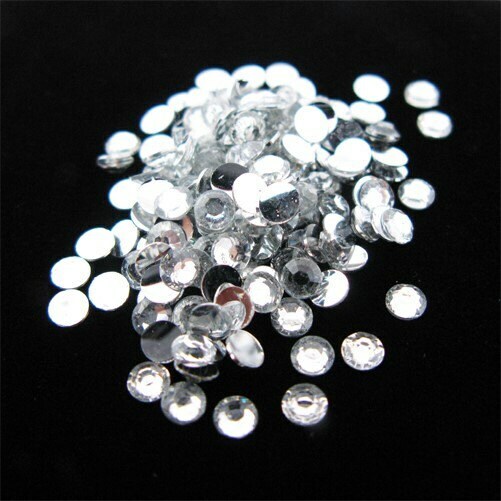 These are high quality and shiny resin rhinestone gems. The smaller sizes of resin rhinestones (2mm - 3mm) have 10 to 12 facets and the bigger sizes have 14 Facets (4mm - 8mm). Resin rhinestones differ from acrylic rhinestones as acrylic rhinestones only have 8 facets. Resin rhinestones looks like glass crystals but they are made from resin material. Please view our outlet for more colours, shapes and sizes.